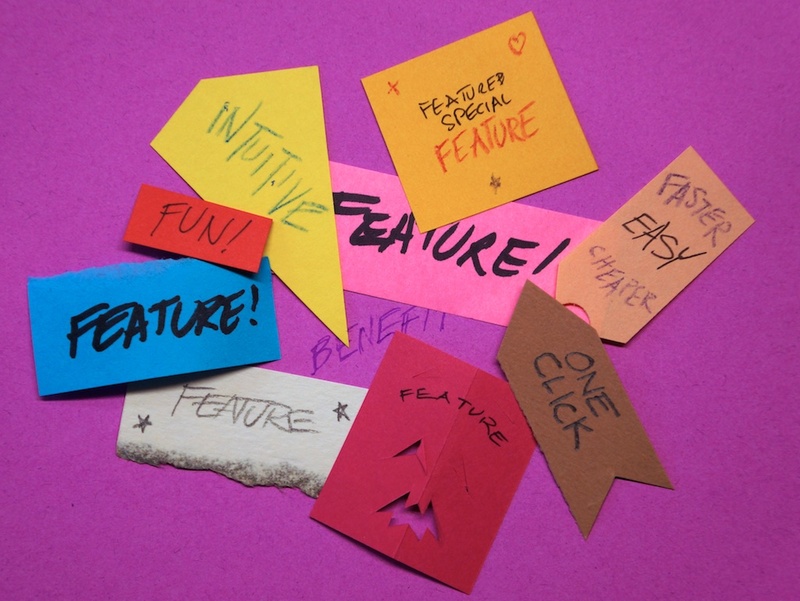 Features and benefits: People tend to talk about that as if it’s easy. It’s not. But it’s super-important. When you really reach the benefits, you’re really reaching the customer and distinguishing yourself from all the poor marketing out there. Here are some tips to find the benefits, and a link to a really great — and free — book. Even with years of practice, I have to ask myself if what I just wrote is truly a customer benefit. Often, it’s a feature masquerading as a benefit. 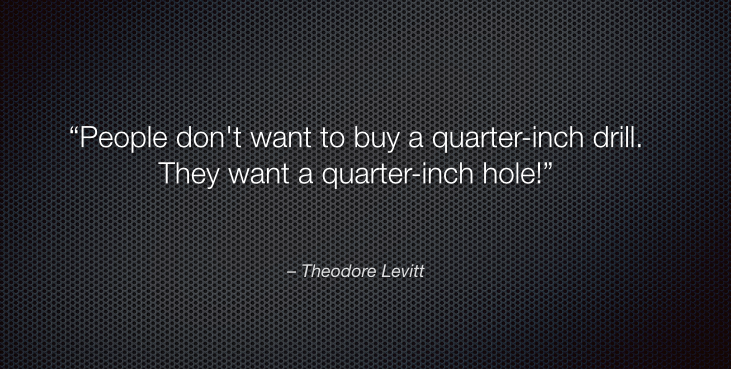 The reason it’s hard is that we think we are logical and sensible, that we want features. But we don’t — features tell but invariably, benefits sell. 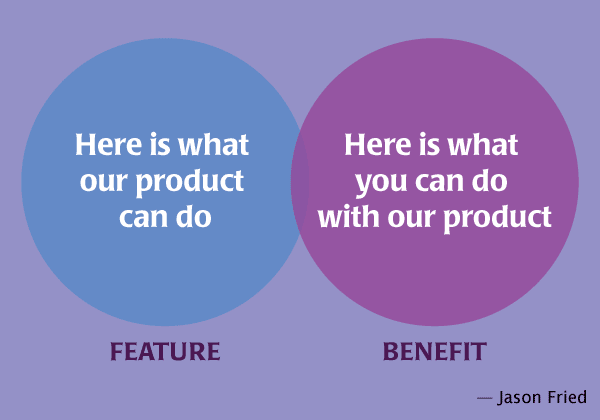 When you’re looking at a feature or benefit, ask, from the user’s perspective, “So what?” Why does the customer care? Then when you answer the “so what” question, ask it again. Continue until there is no answer. Goes all day without recharging! Our exercise monitor fits in your shirt pocket — you will forget it’s there! 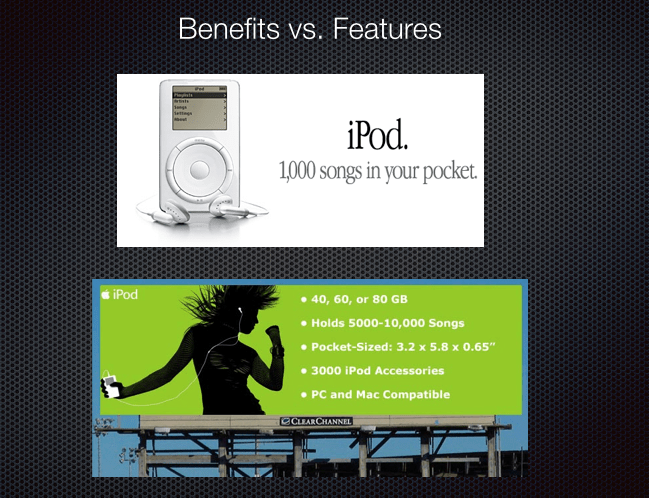 Notice how the same feature might be a completely different benefit. In all cases, benefits are what connect with customers. 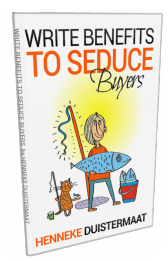 and download the free book, “Write Benefits to Seduce Buyers” offered there.